ETA Diorama Accessories is a one-man company from Greece owned by Yannis V. Papadopoulos producing high quality printed diorama accessories on various scales for different time periods. His products are mainly World War II related, but some for Vietnam War, Gulf War and fictional Zombie Wars are also available. He has a wide tropical foliage and carpets series too. ETA has 7 German Zeltbahn products; five in 1/35 scale and two in 1/72. 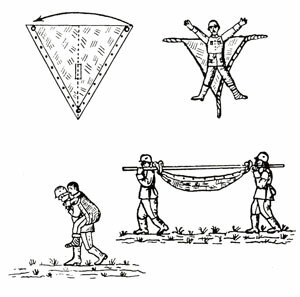 Code 503 depicts hung,folded or laid Zeltbahn as ponchos, the others from Code 605 to 610 are open or folded shelter/tent quarters in various camo patterns. 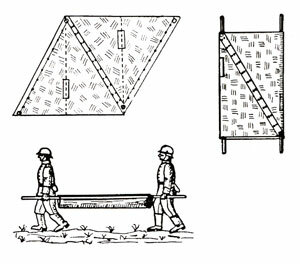 Zeltbahn muster31 - Shelter Quarter , originally known as Warei pattern was a multi-purpose piece of equipment of German Soldiers in World War II. It was developed in 1931 and made of a water repellent tightly woven cotton gabardine called Makostoff. It was triangular in shape, measuring 203 cm down two sides and 240-250 cm down the third. 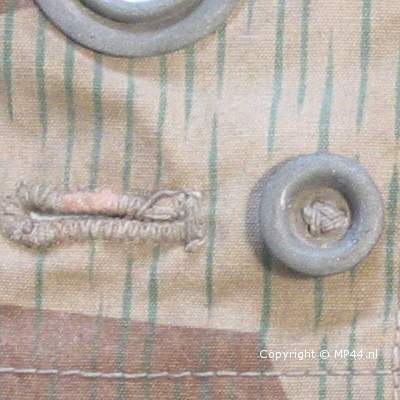 The short sides had 12 buttonholes and zinc buttons, for attaching the zeltbahn to other tent quarters. On the base edge, there were six grommets through which a drawstring was threaded, plus six more buttons and buttonholes, for fastening the zeltbahn closed when worn on the body. Each corner also had a large grommet for tent pegs. . 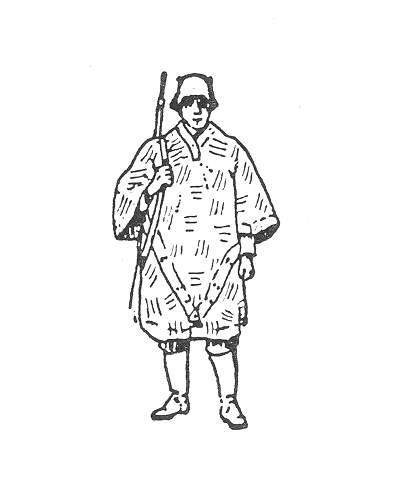 In the middle, there was a slit with button for the wearer's head when used as a poncho. 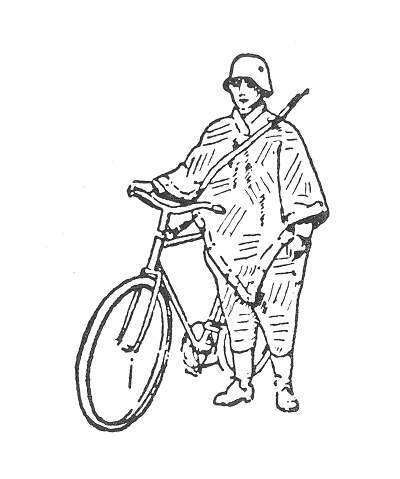 Early patterns were in field grey, then Zeltbahn was imprinted with German Army Splinter Pattern camouflage on both sides in two different shades, light and dark, with each side being made from seperate pieces of these two types of camouflage cloth. Plane Tree, Oak Leaf used by Waffen SS and Italian patterns were available. There were also red green and light tan versions for troops in North Africa. 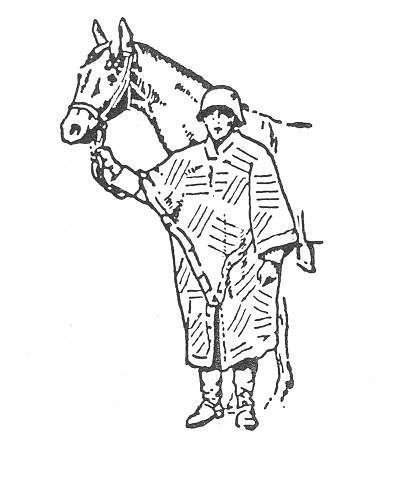 One Zeltbahn - Rain cape,Poncho or Smock - Regenmental : By buttoning up in different ways, it can be worn in different styles by Infantry over the uniform, Cavalry by buttoning up higher to leave more space for legs and Cyclists by buttoning up around the legs. 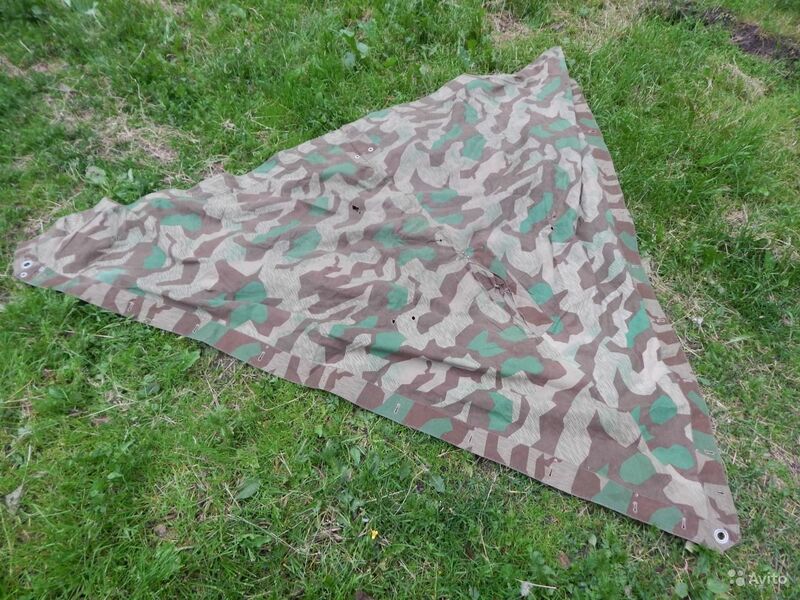 It can be used as a ground sheet or Sling to carry wounded, ammo or load. 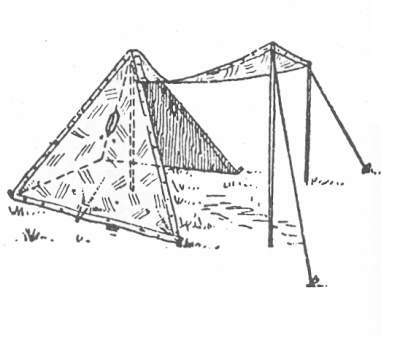 Another usage is Single tent - Einzelzelt providing some protection against rain and wind like a wall. Two Zeltbahns - Half tent - Halbzelt providing more protection and coverage. It can be used as a Stretcher to carry wounded soldiers. 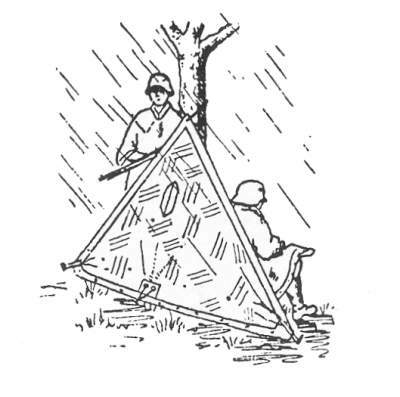 Four Zeltbahns - Pyramide tent - Viererzelt offers a tent for 4 soldiers and a helmet is usually placed over the top to prevent rain get into the tent. Eight Zeltbahns - Eight men tent - Achterzelt offers accomodation for more persons. Sixteen Zeltbahns - House tent - Hauszelt offers a big surface of 25 meter squares with a 2,80 height. Codes are printed to easy to cut and fold good quality paper on 8 x 11,5 cm dimensions and inserted into a transparent plastic bag with a company label. Prints are supported with a cardboard piece on the back not to be wrinkled before use. 1/35 scale products include 3 sheets and 1/72 scales have two inside. 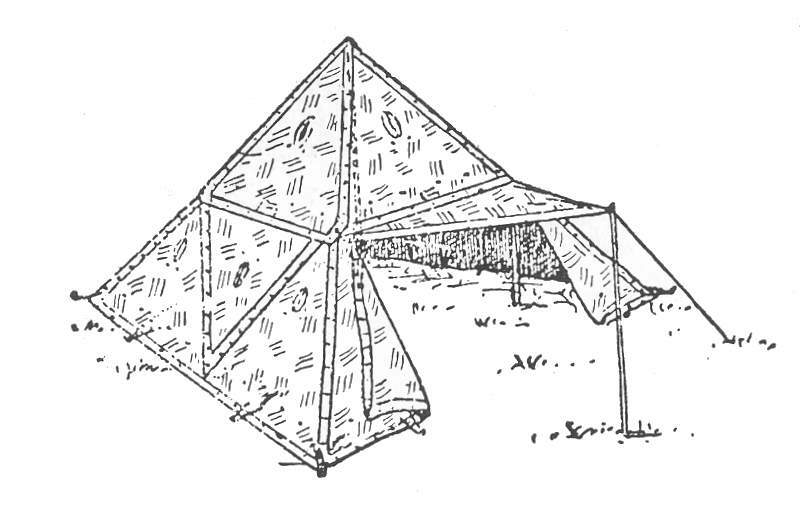 On each 1/35 scale sheet; there are two open quarters that can be used to make tents, two folded, one showing both sides, and six pieces marked A or B to make folded Zeltbahns. 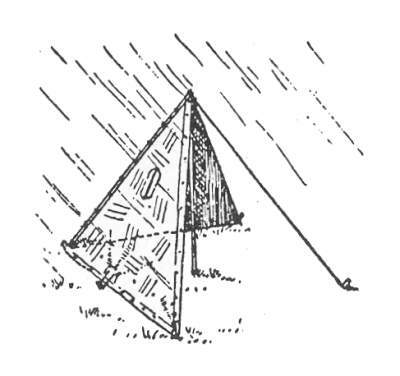 1/72 scale sheets; there are eight open quarters which allow modeler to build two pyramide tents, two showing both sides and nine pieces folded in different shapes and in different patterns. Printing is high quality with clean details. 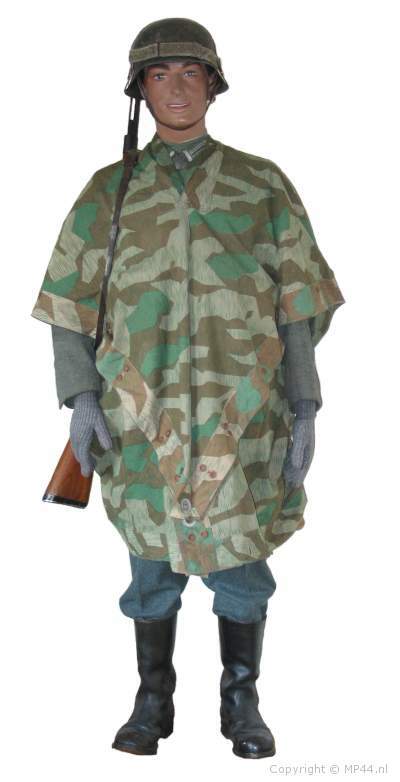 Sizes are suitable for figures on scales of products and camo patterns are well defined. ETA Diorama Accessories - German Zeltbahn prints can be used to make figures, vignettes and dioramas look more realistic. Folded prints can be added over vehicles or any World War II scenes with Germans. 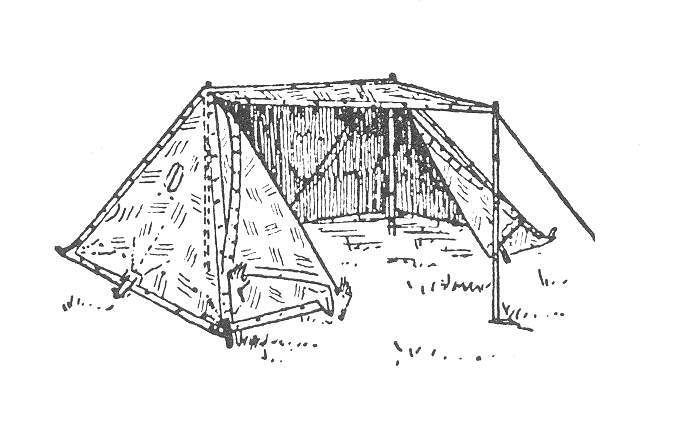 Tents and shelters can be easily built with a little effort. You may visit zeltbahn.net and mp44.nl for more information about German Zeltbahns. Thanks to Yannis V. Papadopoulos for the review samples. Highs: Paper and printing quality are in high standard,various camo patterns, easier way to add German tents to dioramas w/o paintjob. Verdict: Useful products to bring a more realistic look to WW II dios. Our Thanks to ETA Diorama! I am up for trying these.